Delphine's place: November Krafty Peeks... Day THREE! Hello everyone! 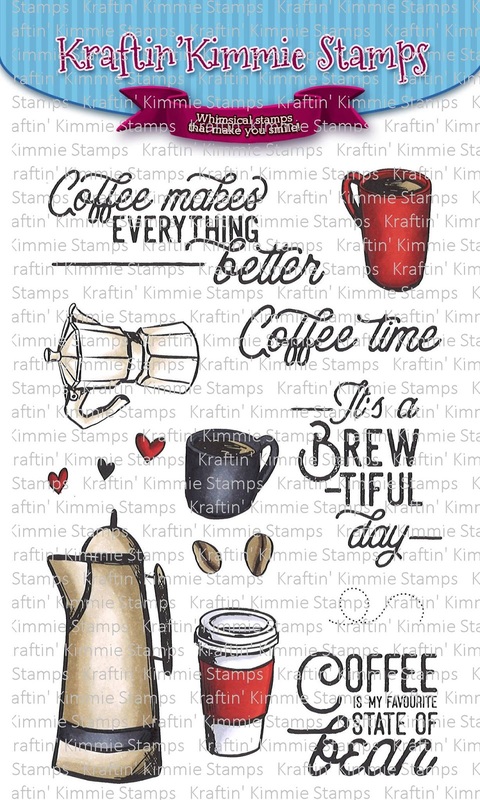 Welcome to Day THREE of our November Release Peeks at Kraftin' Kimmie Stamps! 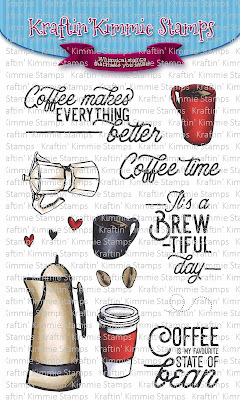 Today we have an amazing new set by artist Melissa Baker-Nguyen and it's all for you coffee lovers! It's called A BREW-TIFUL DAY! 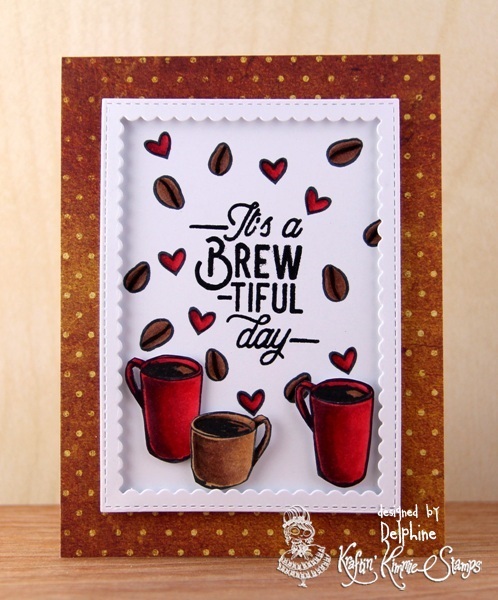 I stamped the sentiment, a few coffee beans and hearts from the set for the background. On another piece of paper, I stamped my cups and cut them out. I coloured everything in Copics then die cut a frame and put everything on a piece of Bo Bunny DP. All the Krafty Team and Guests are listed below so be sure to hop around and leave some love at each and every stop because one lucky commenter will WIN a gift voucher to the store! Oooo the red! Love it!